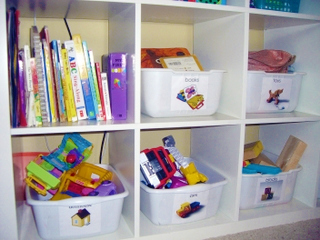 IHeart Organizing: Reader Space: Toy-Tastic! Toys. So great for your kiddos imagination, not so great for your home. 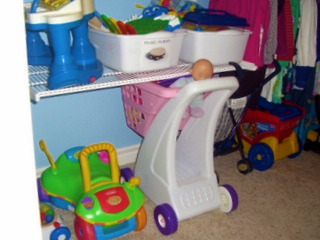 You see, toys can quickly take control of every single room in your home. But the key word there, is CAN. 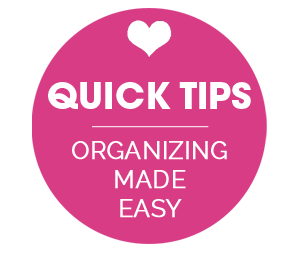 It's all about finding an organized system that not only keeps toys corralled, but is also to maintain, for both you and the little tykes! I was totally inspired by the toy organization in your basement playroom and I promised you before and after pictures. I have two little girls and I watch another little one during the week. With three little ones four and under in a home with less than 1200sq ft, you can’t help but be surrounded by toys! We needed a better solution and when I saw your playroom I knew your bookshelf would be perfect to stash all of the toys but still keep them visible so the little ones know what they can play with. I'm including the post I wrote about the toy organizing where I feature your amazing playroom. I'm also attaching the pictures to the email in case they are easier to view via attachment. Some days my house feels like one big giant toy box! Clutter Problem-too many toys and books with nowhere to put them. Here is an example of toys lacking a defined home also known as things everywhere! Even though parts of my home felt organized, I was determined to find a solution to the toy clutter problem. 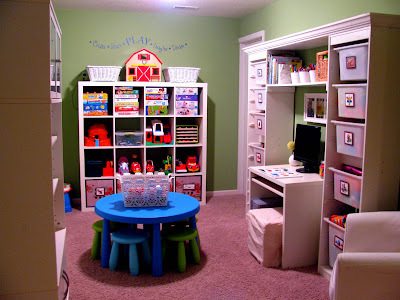 I came across this awesome playroom on iheartorganizing and was totally inspired by the toy organization. I love how she has a place for everything and how the storage is all clearly labeled. 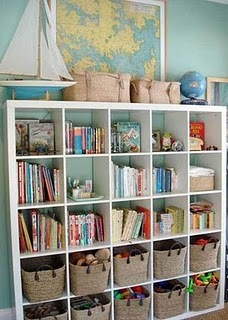 This is a perfect example of how an organized space does not need to be sterile or uninviting. This room still looks like a fun room where some serious playing can happen. I was especially drawn to the Ikea bookshelf (Expedit) because I had seen it used for similar a function in a house crashing by younghouselove. I knew this bookshelf would be a perfect and inexpensive way to stash all the toys but still keep them visible so the little ones know what they can play with. Solution- Open bookshelf with cubbies to house all our toys and kids' books and also be kid friendly and accessible to facilitate easy access to toys. I was ready to run out to Ikea right then and there. Unfortunately, we didn’t have enough moula in our home decorating budget. I had to wait. Then I had my light bulb moment! I did a quick Craigslist search and discovered there is a ton of Ikea furniture on Craigslist! Best of all I found the Expedit bookshelf right next to my husband’s office for $50 less than the store price. Score! I wasn’t too concerned about any minor scratches because it was bound to get a few more in the kids’ room. The girls helped me wipe it down and prep it for use in the room and then we were ready to fill it! The radio, games, craft sets (in the white bin), piggy bank, porcelain tea set and special books we read together are on the top. 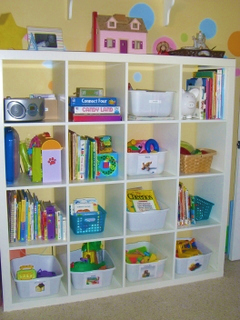 While play sets were placed on the bottom shelf to make drawer-like bins that can easily move to the floor for playing. Books and miscellaneous toys make up the rest of the cubbies. I also designated a specific spot for library books for easy retrieval when we head off to the library. Any other toys were donated or stored in their closet for future rotation. I rotate toys monthly or bimonthly to help keep things fresh and keep the kids from feeling too overwhelmed with options. We have a generous walk-in closet that provides ample parking space for the big toys too. What I love - all of their toys are in one spot so there is only one place to look when deciding what to play with and only one labeled spot to return toys when cleaning up. I plan on replacing the bottom tubs with baskets that fill in the whole cubby which will give the bookshelf a cleaner look. But for now I am using what I have. Bonus- saved $50 big ones! I just love when something that works well for one, works well for another... and another! 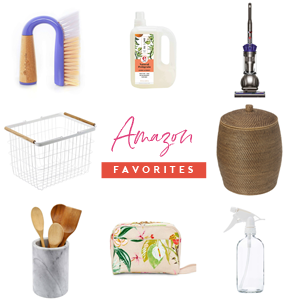 Just proof that it's a great idea to check out some inspiration when planning to make updates to your space! 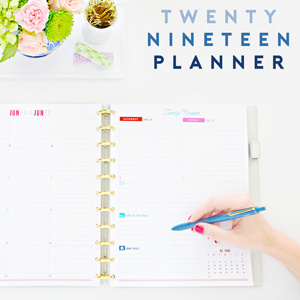 It's a great method of planning! An extra high five for finding one on Craigslist for a portion of the cost! And those labels! WAY TO GO AUTUMN! I get asked all the time how to get kids to help putting their belongings away, and that is always my "go to" solutions. Kids love playing "matching" games, so being able to match a toy to a picture, is actually fun for them and they will be more willing to help put their toys away! Wahoo! I am giddy for you! Who else ADORES the Expedit bookshelf to no end? Anyone sporting one for their toy storage as well? I want one of those shelves so bad... but ikea is 2 hrs away. I didnt even think about looking on craigs list. Thanks for the tip!! Love this! I have an IKEA minutes from my home, which is great for window shopping...but not for the wallet ;) Will check out Craigslist for an Expedit for OUR playroom! I have an Expedit, but it's the smaller one that attaches to a desk. I love it for our Home Office. And it has lots of storage since I bought a bunch of baskets & bins & magazine holders for it when I bought the Expedit and desk at Ikea. I love Ikea. We have been planning to get an Expedit for our (adult) books. :) Does anyone have any of the other finishes other than white? We rent and can't paint our office where it's going to go. It's currently white so I thought the black/brown might look better. Thanks! Expedit is in white, a dark black/brown color and a light woodlike color. EXPEDIT shelves transformed our crazy playroom. We have the 8 cubbie hole size and instead of using it like a bookshelf (our 2yr old is a climber) we put them down on the floor (4 wide, 2 high). We have two lined up along the side of the playroom. If you squint it looks like custom low shelving. The kids love them and everything is within their reach. And the units work when they are little, stacked upright when they get bigger and we may even end up getting the desks so they can do homework on them one day. We also just got a lack small coffee table that perfectly fits the girl's playhouse/castle with target itso bins underneath to store the many accessories. This stuff always makes me so sad that the closest Ikea is a 4 hour drive. I thought I would order that tall, skinny shelving unit that you have in your bathroom and found out it would cost me FOUR HUNDRED DOLLARS to have it delivered. I definitely do NOT heart that! I absolutely LOVE LOVE LOVE Ikea's expedit shelving. I check Craigslist frequenty for the Expedit models. I do have an Ikea less than 30 minutes away but don't like spending the money & a LOT of time assembling the bookshelf. Jen, I remember asking you about the clear bins you have I think for your boys legos that fit perfectly in the Expedit shelving. I think it's in their room and I found it!! It's at Target in their "RE" section. I bought one to try it and see, I need to go back for more!! I get your girls are in heaven! Doesn't it always feel SO good to get organized???? We have it and LOVE LOVE LOVE IT! I bought red and blue bins to fit perfectly in there (on sale and with a gift card from the Land of Nod). I made labels for the bins (we have 4 bins) for the cars, tools, blocks and balls. The other shelves we leave open to "see" toys. It is the best storage ever! Happily the previous owners could not get it up the stairs in the basement so they left it for us! I shamelessly copied the IKEA look from Jen as well. I have one 4x4 and one 2x4 shelf, and it is awesome. perfectly fits my rubbermaid bins. I have the black-brown finish, and it's very dark, more black than brown. Be prepared to dust, it shows up fast. Thanks for the inspiration Jenny, you are awesome. Love Expedit bookshelves, they were a life saver in my livingroom. I wrote a quick post so you could see. 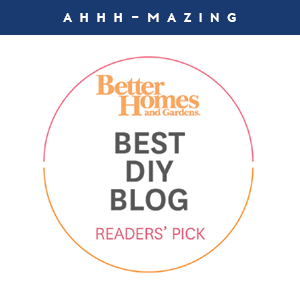 This post is so timely because we are headed to IKEA this weekend to buy furniture for my daughter's room to help her stay organized. So looking forward to see a clean and organized room. Thanks for the inspiration. I love expedit shelves! We have the smaller set that connects to a desk. 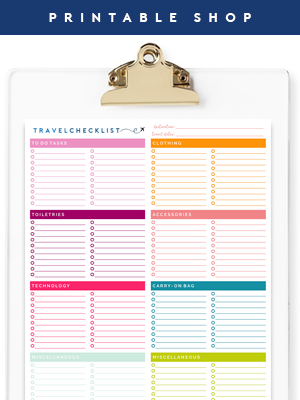 It's such an easy way to keep up with all things needed for an office area. With baskets and magazine holders, it actually looks very nice! Questions: does the white start to yellow over time? I just did this on a smaller scale in my daughter's bedroom closet. Just 8 cubes and I found some great baskets at the dollar store!! It looks so, so, so much better! Love the Ikea Expedit and YOU gave me the idea! :) We have a 2x4 in our LR. Baskets from the Land of Nod, the Strapping Baskets. The cube bin sits just right, fills up most of the space and the shelf basket is nice for a smaller basket. I'd be curious if anyone has made labels for these baskets and how they attached them to the baskets. A big thank you to everyone for reading! I am seriously considering getting another Expedit with a desk after reading all the rave reviews! Ash- I think the owners before me had it for 2 years or so and no yellowing. Bloggin BB- I used Velcro squares to attach labels to wicker baskets and I think that would work for the Strapping Baskets too. You could also try shipping tags that you tie on to the handle of the cube bin (I am sharing a few thrifty label ideas tomorrow!). It felt so freeing to have the toys in the girls' room organized; I was inspired to move on to the their closet for Part 2 of toy organizing. I really enjoying reading posts like this as I have a 16 month old and will soon put these ideas into practice. I look forward to all the other readers sharing their toy spaces as well! Thanks!! I posted yesterday but wanted to post again to say how much I am still excited about these shelves!! I am going to find more unused space in my house to put them!